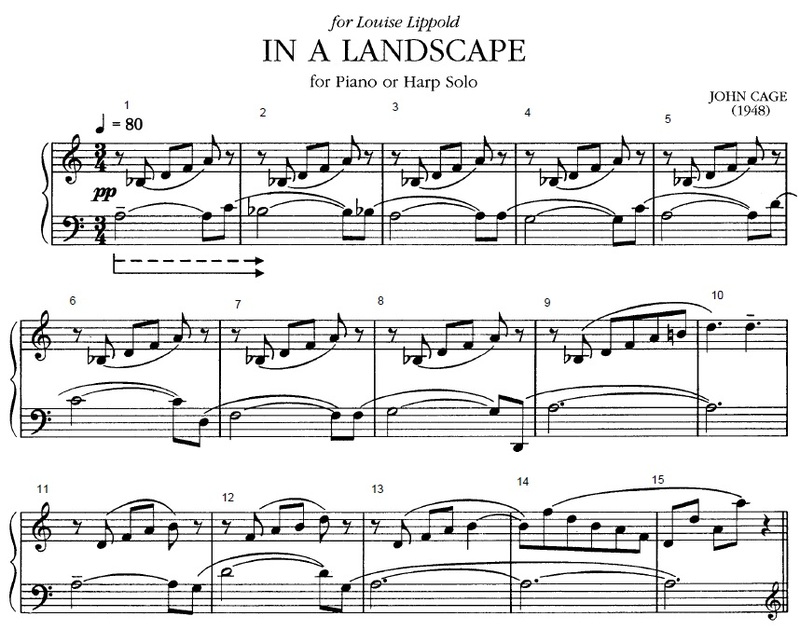 I have always loved this piece, both on piano and harp. The version presented here is played on my microtonal slide Bosendorfer using Csound. The tuning is based on A (5:3) Utonality. Note the Bb as a 12:11, 151 cents above the A. A 12 EDO Bb would be 100 cents above the A, so it’s a quarter tone sharp. The rest of the intervals are low number just ratios. It’s sort of in the key of A minor, but ends in D minor. I haven’t tried a D minor utonality. Maybe next time. One of my favorite versions of this piece is on Just West Coast on Bridge Records, with performances of Cage, Harrison, Young, and a wonderful set of Partch Barstow performed on Vocals and Guitar by John Schneider. In a Landscape is played on Celtic Harp by Amy Shulman, which was “tuned to a pure B-flat mode in one octave and G in another.” I don’t know what that means, but it sounds wonderful.